Minimalism in its most striking form. I simply wanted to omit anything that was unnecessary while also refusing to compromise in terms of design and comfort. Celebrating 20 years of Titan Minimal Art calls for something special. This is about the highest quality, unconditional perfectionism, and fearless innovation. The result is the futuristic-looking Special Edition 20 Years TMA sunglasses. 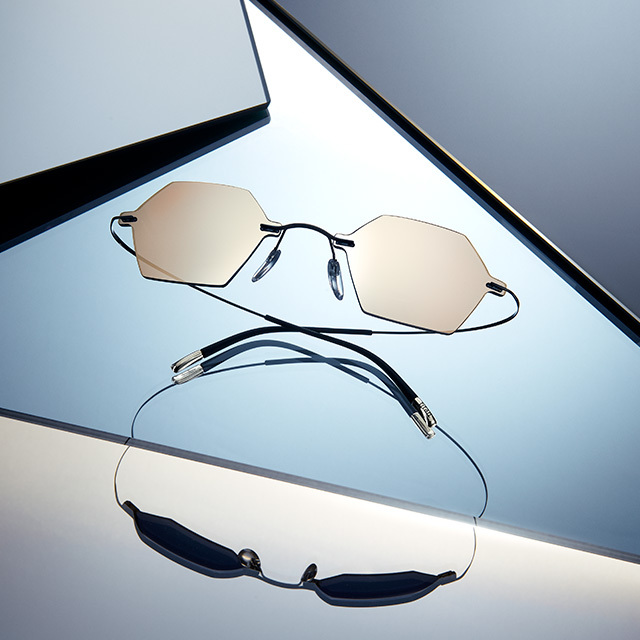 The minimalism of the anniversary collection is complemented by a clear color scheme with silver and gold mirrored lenses, which not only look cool, but also offer 100% protection against dangerous UV-A, UV-B and UV-C rays.